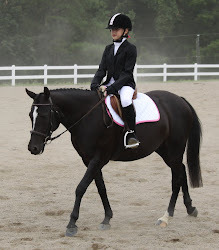 I regret to announce that we are canceling the July clinic with Lauren Sprieser. With so many traveling to Dressage at Lexington next week, a clinic the following weekend was just too much, so we look forward to seeing everyone in September. FYI - Lauren and I are working to adjust the clinic date for September since the SWVADA show has been moved to that weekend, so I will post the date once it is confirmed! Stay cool, and hopefully we'll see lots of you in Lexington!